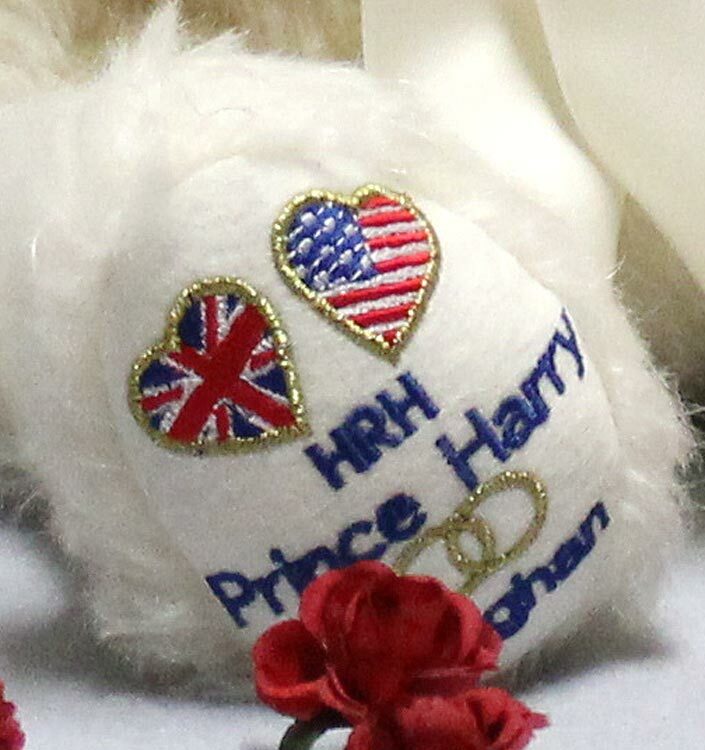 Hermann-Spielwaren has created several wonderful bears over the years to pay homage to England's beloved Royal Family. Now to celebrate the engagement of Prince Harry and Meghan Markle, Hermann has created a charming new Teddy. 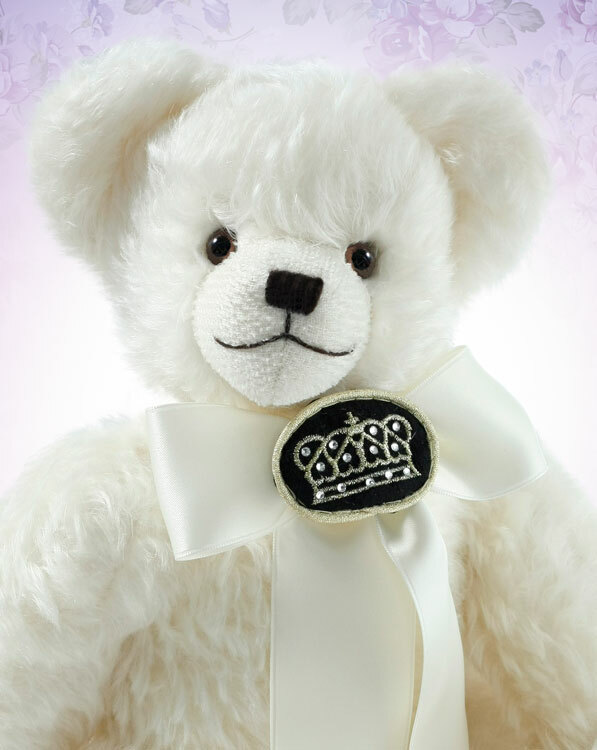 Made of mohair, this five-way jointed bear is 13.75 inches tall. He has an unforgettable face with a hand-stitched nose, sculpted muzzle and friendly eyes. He is firmly stuffed with polyester filling for a good hug of a bear. 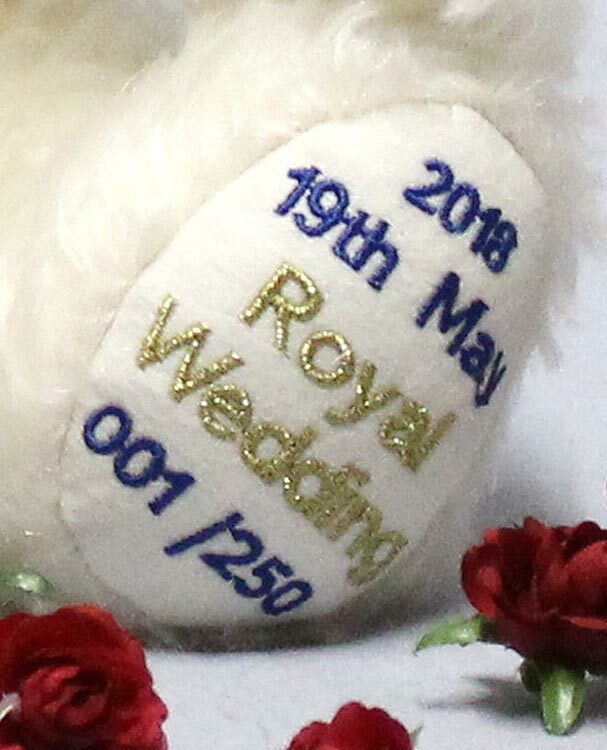 Hermann has given this beautiful Teddy a satin bow fit for royalty with SWAROVSKI® Elements and fine embroidery on his foot pads. 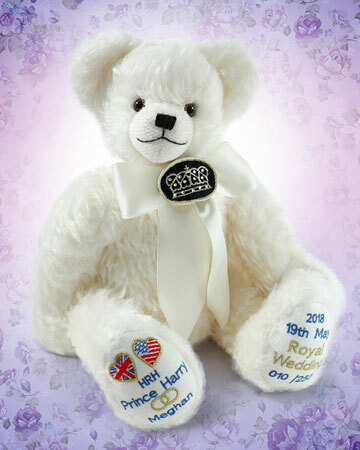 Prince Harry And Meghan Royal Wedding Bear 13182-1 is a 2018 edition by Hermann-Spielwaren GmbH limited to only 250 pieces worldwide.